HYLAS 1 is a hybrid Ka Band/Ku Band satellite with European coverage. The satellite will be used mainly to provide broadband Internet access and to distribute and broadcast High Definition Television (HDTV). EADS Astrium has been awarded a contract from the UK's latest satellite operator Avanti Screenmedia Group plc for an innovative communications satellite known as HYLAS (Highly Adaptable Satellite). The satellite will provide interactive high definition television and interactive broadband services from its UK orbital position of 33.5 degrees West and cover 22 countries in western and central Europe. The contract between ESA and Avanti covers support for the development of the most innovative elements of this new system. 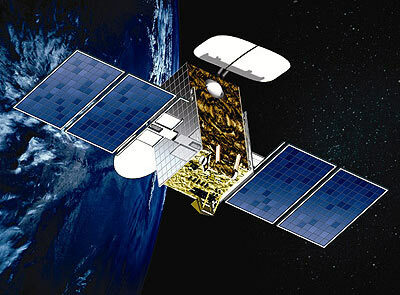 The supplier of the HYLAS Satellite is EADS Astrium Limited. ESA's contribution is € 34 million of a total estimated project cost of € 120 million. This is a key milestone as it is the first contract for EADS Astrium's latest communications payload technology, Generic Flexible Payload and Next Generation Antenna. The satellite will be a flight demonstrator for this innovative technology. HYLAS benefits from investment from the British National Space Centre (BNSC) and the European Space Agency (ESA). The satellite will use the ISRO I-2K small satellite platform and is the second order under a new co-operative agreement EADS Astrium has with ANTRIX/ISRO. The HYLAS satellite will provide new and innovative services including High Definition Television (HDTV) and interactive satellite delivered broadband services. The satellite will help address the issue of poor broadband coverage in many parts of Europe which have less developed ground infrastructure. The satellite with a launch mass of 2300 kg, payload power of 2 kW, and a design lifetime of 15 years is due for launch in 2008. Originally a launch on a Falcon-9 v1.0 was booked, but in 2009 the launch contract was changed to an Soyuz-2-1a Fregat launch vehicle and in 2010 to an Ariane-5ECA.